We Can Fix Baxi, Vaillant, Ideal & Potterton Boilers. Professional Boiler Repairs In Walworth Provided By Fully Qualified Engineers. Our Emergency Response Team In SE17 Can Respond To Gas & Heating Related Emergencies, 24 Hours A Day. If you desperately need emergency boiler repairs in Walworth, you can count on our expert engineers. We can professionally fix your boiler, but most importantly precisely diagnose and tell you what was wrong with it. Trustworth always gives your boiler a thorough service. Our expert installations team work in a safe and precise way. Whatever your make of boiler is, our team have the professional, relevant experience and skills to repair it. 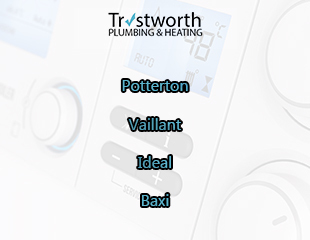 We are specialists at providing boiler repairs in Walworth for Ideal, Baxi, Potterton and Baxi models. There are many advantages to having boiler serviced. The major advantage is that you can have peace of mind its operating at maximum efficiency. Our company offers the highest quality home heating solutions. You can check that we are on the gas safe register. You can do so by entering our registration number (301783) into the Gas Safe Register official website. Safety is our number one priority when doing any type of work on your boiler. All of our hard-working engineers take safety very seriously. This is because there can absolutely be no room for error, as gas can potentially be very dangerous. We carry out all the required checks before and after each job. Find the perfect aftercare package for you by talking to our team. You have your boiler on during the colder months and then use it less in others. So it is easy to forget about the maintenance and care of it. Our expert Walworth boiler repairs team are reliable and happy to answer your questions. Our fine reputation speaks for itself and we have lots of happy customers. Central heating systems can experience problems on occasion. Our repairs are carried out to last for a very long time. We recommend your boiler has a service at least once every year. You could choose to have a check done twice (in a twelve month period), for extra peace of mind. No boiler repair is ever guaranteed to last a lifetime. Like any household appliance, there will come a time where it will breakdown again. So to cut the down the number of times it has to be fixed; choose a yearly maintenance package. Also carbon monoxide poisoning is a very dangerous and even fatal thing. So it is vital to have your boiler checked regularly. In the winter months, it can sometimes be a very testing time, if you have problems with your hot water and heating. Our emergency boiler breakdown team in SE17 offer a fast response service. We never use old tools; only the best will do. We perform a series of vital checks throughout the process. 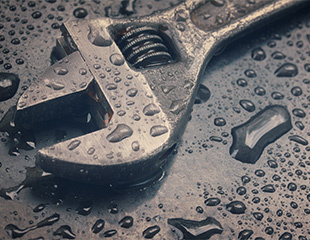 Our boiler repair Walworth team can easily handle out technically challenging boiler repairs. Customer service is very important to us and we take it very seriously. If you are experiencing a sudden boiler breakdown in SE17, call 07951538977. We recommend that you save our this emergency response number in your phone. That way you can quickly call us when you experience a heating emergency. Walworth is in the district of Southwark and has lots of local businesses. If you are a business owner, local organisation or landlord, you can hire us to carry out repairs. Also we do gas safety certificate checks. We carry out every single test required by law and only issue certificates, if you pass with flying colours. Our reliable boiler engineers can find hidden faults that other companies sometimes fail to spot. We don't just aim to get your appliance back to normal working condition. If our team can make it work more efficiently, they will. Our advice is vital in helping you protect against a large number of future boiler breakdowns. If you are looking for a professional company, then choose us. We offer a 3 year guarantee on all installations. We are professionally skilled at installing the top boilers now on the market (Vaillant, Ideal, Worcester Bosch, Baxi and Potterton,). Turstworth Plumbing aims to get them working at maximum efficiency gain. If you are not legally qualified to do this type of job, then you should never attempt it. Doing so, is illegal and highly irresponsible. You are putting your own and others lives at risk. Do you need a servicing and aftercare package? There are so many things that you need to keep on top when it comes to household appliances. Don't neglect you boiler as it is a vital part of your home. It regulates heating and hot water. Things you can take for granted, until something goes wrong with it. 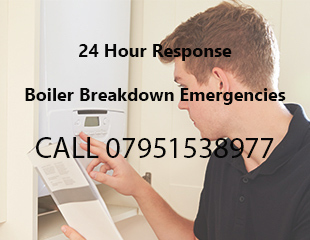 Boiler emergencies in SE17 - Trustworth has a reliable 24 hour boiler emergency response team. They will quickly make their way to your property. On arrival they will assess the situation and then fix the problem. You need a same day response service because it helps restore heat and hot water to our home quickly. Also it takes the pressure off you, as you know a professional is coming to help you. If you are elderly or have a family of small children, a boiler breakdown can be a stressful time. We aim to fix it that same day. Trustworth Plumbing covers the South-East London region and also parts of South-West London. Homeowners business and landlords, trust our expertise in an emergency. For a top quality boiler repair, trust in us to deliver on every occasion.